When it comes to writing, punctuation marks can be very confusing. Sure, periods and question marks are pretty easy, but what about all the others? Helping your child understand when to use certain punctuation marks will help improve their writing conventions and sentence fluency. This little dot signifies the end of an independent clause. The sentence may be complex or compound, but at a minimum, it has at least one subject and predicate. Some abbreviations may also use periods. For example, etc. or a.m. are abbreviations that use periods. If a sentence ends with one of these types of abbreviations, you wouldn’t add an extra period to the end. For example, the sentence, “She woke up at 7 a.m.” would just end with one period. The question mark (?) is used when making an interrogative statement. For example, “What time did she wake up from her nap?” uses a question mark. Commas are used to separate a dependent and independent clause, two independent clauses joined by a coordinating conjunction or words in a series. First the sentence, “Because she overslept, Nancy missed the birthday party.” has a comma that separates a dependent clause (because she overslept) and an independent clause (Nancy missed the birthday party). Two independent clauses may have a comma to join them only when linked with a conjunction. For example, “Peter brought a gift for Sally, but Grace left her present at home.” joins two independent clauses by using “, but”. Finally, commas are used when listing words in a series. “Peter, Sally, and Grace went to the party.” separates the three proper nouns in the subject by using commas. The last comma before and is called the Oxford comma, and it is optional to use. Exclamation points denote excitement or surprise. They’re used in the case of interjections (such as “Wow!” or “Oh!”). They may also be used sparingly to replace periods when the writer wants to emphasize a reaction of surprise or awe. For example, “I cannot believe she lied!” may be more effective with an exclamation point rather than a period. Instead of separating two independent clauses with a comma and a conjunction, a semicolon may be used. Writers should also be careful to use these sparingly. Frequent use of semicolons can cause long, drawn-out sentences that sound like run-ons when reading aloud. The sentence “Peter brought a gift for Sally; Grace left her present at home.” shows the correct use of a semicolon. 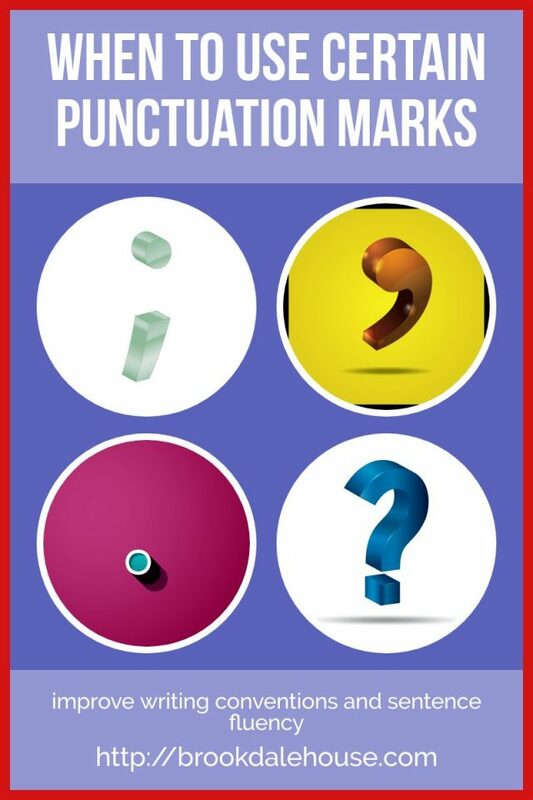 These are not the only punctuation marks used in writing, but your child will find these common marks used within or at the end of sentences. 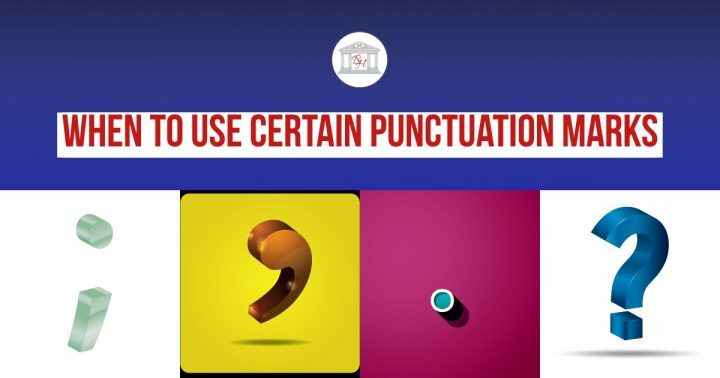 Learning when to use certain punctuation marks will not only help your child master punctuation and grammar rules, but they will also develop stronger writing skills by building sentence fluency and voice in their writing. Subscribe and Grab Your Free Worksheet here! !